56 miles. 24 summits. 8,600m ascent. 24 hours to finish. Taking in 24 summits (23 Munros) including Ben Nevis, Charlie Ramsay’s classic Scottish round is not for the fainthearted. Have you got what it takes? We’re the UK’s leading specialist in supported 24 hour ‘Rounds’. 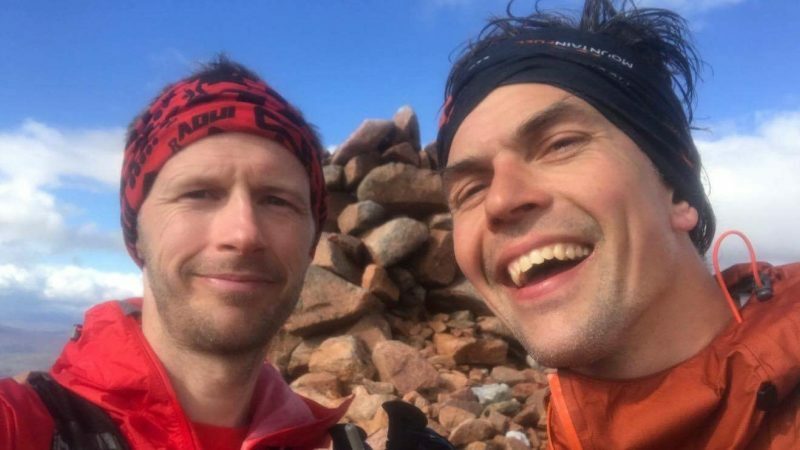 We’ve led dozens of successful Bob Graham rounds already, and from 2018 we are delighted to offer the same guided service for Scotland’s classic challenge: the Charlie Ramsay. The UK’s highest peak is just one of 24 mountains that you must summit in order to complete this one. Are you tough enough? Charlie's navigation skills were so impressive when we did the Charlie Ramsay Round together. I'd have been lost several times without him, especially at night. Not only did he keep us on course, on terrain he hadn't been on before, but he'd find clever shortcuts via contouring to save us valuable time. It doesn't matter how fit you are, waste too much time on a 24-hour fell running round and you won't get round in time. 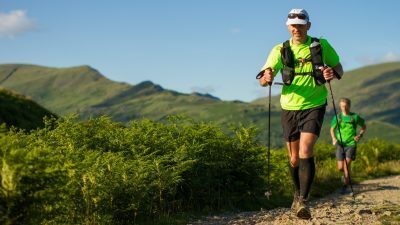 On Sunday 9 July 1978, Charlie Ramsay of Edinburgh became the first man ever to summit all the mountains of Lochaber in a single day, starting and finishing at the Glen Nevis Youth Hostel. Charlie’s record time – 23 hours and 58 minutes – remained unbroken for nine years. 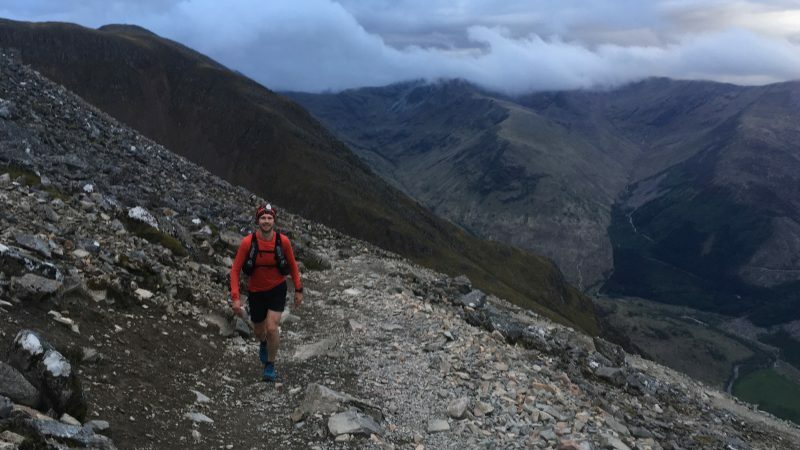 His route, taking in 24 summits (of which 23 are classified as Munros) is as spectacular as it is brutal. 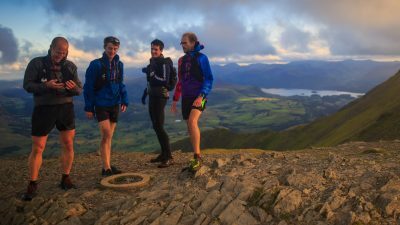 To date, only 109 of the hardiest hill and fell runners – including Mountain Run team members Charlie Sproson, Joe Mann and Damian Hall – have successfully risen to the challenge to join the ranks of official finishers. The current record time stands at 16h 13, set by Jasmin Paris in the summer of 2016. The Charlie Ramsay Round can be completed clockwise or anticlockwise: the only rule is that you must summit every peak, in the correct order. We will guide you in a clockwise direction, breaking the challenge into three stages with a fresh guide for each. That means you’ll begin with the big one: summit the Ben first and head via Carn Mor Dearg to Aonach Mor, Aonach Beag and the grey Corries. Your first change is at Fersit Dam: in distance, you’ve hit the halfway point but don’t be deceived: another 14 summits still lie ahead. 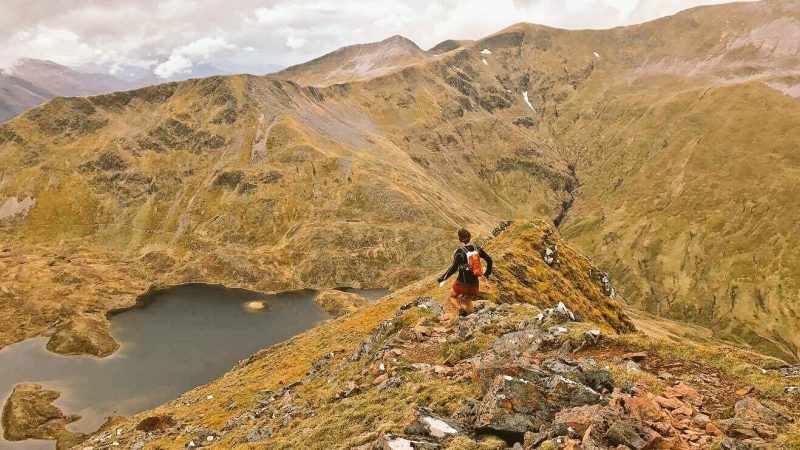 Leg two takes you into the three Munros lying east of Loch Treig and on up the valley to your final changeover at Loch Eilde Mor, ready to tackle the Mamores as you return to Glen Nevis. Choosing a guided round with us is not an easy option: you will still need to call on every last ounce of determination and stamina that you possess, to become a Charlie Ramsay 24 hour finisher. What we can do, is take the worries of planning, navigation and logistics right out of your hands, leaving you free to focus on the challenge itself. 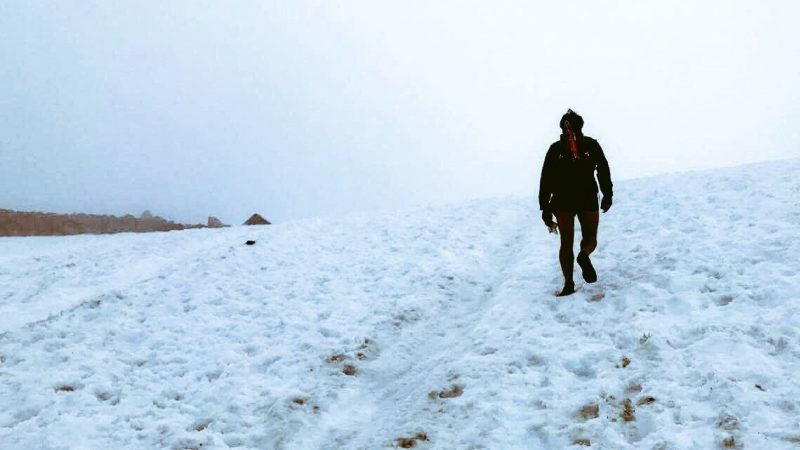 Not only do we have the skills in navigation and mountaincraft to look after you in the hills; we also have the experience of completing this epic round behind us. We know how it feels to be in your shoes, and we’re by your side every step of the way. Step 1: We’ll begin with an in-depth phone chat, where we’ll get to know your goals, running experience and expectations. At this point, we will begin to discuss timescales: we usually recommend that you allow yourself a year of preparation time (minimum: 6 months) to allow you time to train effectively for the challenge ahead. 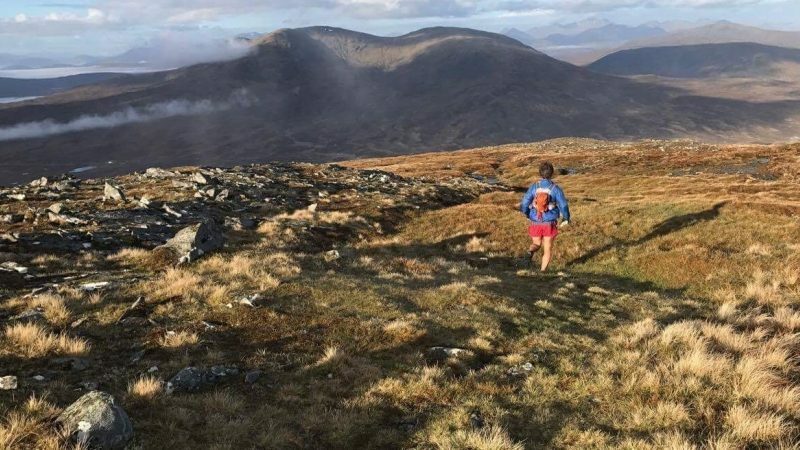 Step 2: We’ll ask you to join us for a full-day guided running assessment in Scotland, where you can get a feel for the terrain and we can give you a realistic idea of your target completion time. Step 3: Following your assessment, we’ll set a provisional date for your round and can supply a personalized training plan to get you ready for the challenge ahead. Step 4: We will usually ask you to join us for at least one more day’s running in Scotland 6 weeks before your planned Charlie Ramsay date, if at all possible. This is for your benefit as well as ours, so we can make sure you’re ready. If all is well and you’re feeling strong, we will confirm the date of your Challenge. If at all possible, we strongly encourage you to book several further recce trips, ideally completing all of the legs at least once and practicing joining some of the legs together before the big day: that way, you'll get used to long days in the hills; gain experience on the terrain and build confidence in yourself, and we'll be able to see that you are in the right place, training-wise, and ready for your round. Step 5: D-Day: we’ll meet you at the start line (the SYHA in Glen Nevis) 45 minutes before your scheduled start. We’ll make a few final checks ... and then we’re off! 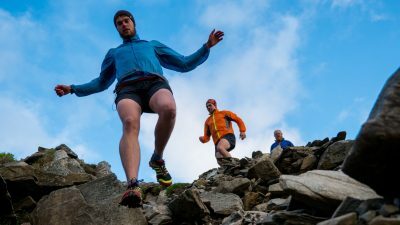 Your full-day running assessment (compulsory): £200 At least one full-day’s running assessment is required, to enable us to gauge your readiness for the challenge ahead. 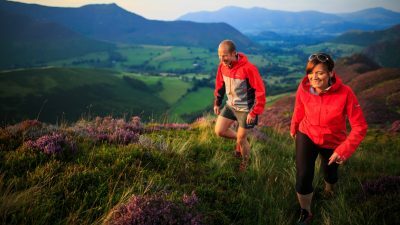 Further guided running, route recces, training with poles or mountain skills days are available if desired. Road support for your Challenge (optional): £350 This includes 2 drivers, fuel and transport, for 24 hours. We recommend that you provide your own road support team, to keep costs down. You will need two drivers, available for the full 24 hour period. The terms and conditions below apply specifically to guided Charlie Ramsay Rounds. Please see our full Terms and Conditions section for general booking information. Your deposit is non-refundable due to costs incurred at the time of booking. If we decide that it’s essential to postpone your round due to bad weather conditions, we will give you as much notice as possible and reschedule for the next mutually agreeable date. Your deposit will be transferred to the new date. If you need to postpone your Round due to injury, please give us as much notice as possible. Additional costs may be incurred. If you decide to cancel your round for any reason, any deposit(s) paid to date are non- refundable. We cannot guarantee that you will succeed in completing your goal, nor that you will do so in 24 hours. We will do our utmost to enable you to do so, but ultimately it is up to you; your training; your mental preparation and your fitness. No discounts or refunds can be offered for non-completion.